Build eye-hand coordination and encourage healthy competition, too! 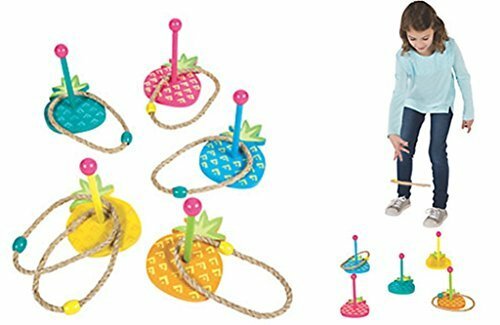 10 color-coordinated hemp rings and 5 pineapple targets provide lots of fun indoors or out. Great for the whole family. Ages 3+. 15 piece set. CHOKING HAZARD-Small parts. Keep out of reach of children under 3 years. Lots of fun indoors or out! If you have any questions about this product by Fun Express, contact us by completing and submitting the form below. If you are looking for a specif part number, please include it with your message.